Another album filled with groovy elftunes. Again we can enjoy Happy Elf’s analogue synthesizers, drumcomputer, guitars, bassguitars, vocals and samples. O.K. sometimes you believe this album was made in the eighties of last century, but what the heck…. those were (unlike the present) the days of musical voyages of discovery. 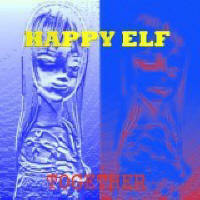 There’s even a song on this album dedicated to MySpace, where Happy Elf found many friends. The song is called My MySpace. Each track on this album has its own distinctive sound: always happy groovin’ sometimes mysterious. Have fun listening to the songs and LET’S DANCE TO THE MUSIC TOGETHER! Together by Happy Elf is licensed under a Creative Commons Attribution-Noncommercial-Share Alike 3.0 Netherlands License.